Crazy? More like crazy happy! Vape users, often dubbed as cloud chasers, are fostering a rather expensive hobby – or way of life, as others may argue. So many tools need to be maintained, replaced, and restocked regularly so that one can keep vaping. I should know, because I’m a cloud chaser myself. And I’m telling you, there’s just something about this heavenly puff of smoke that’ll keep you spending. If you want to try making a hobby out of vaping, or maybe even “switch sides” and leave the ghastly smell of tobacco for good. Then, allow me to enlighten you about the real costs of vaping. Take it as a senior trying to help his junior out. P.S. My intention is not to turn you off on the idea of trying to vape. My “Good Samaritan” instinct is simply acting up and I don’t want you delving into places you are unfamiliar with being all wishy-washy. This section is not going to be a debate about health risks, psychological influences, or whatnot. We can talk about those things in another article. The real costs I am about to show you, are literally costs you are likely to incur if you’ve gone too deep into the vaping fad. These are costs I bear with too. But you don’t see me quitting anytime soon now, do you? E-cig Mods – When you’re a beginner, there are lots of starter packs available for online purchase. Starter vapes are usually sold for $25 to $35 dollars. But of course, you won’t be spending your vaping days stuck with standard vapes forever. If you want to go for quality mods, the price range would be around $50 and higher. E-liquid – Another important thing you need other than the E-cigarette itself is E-liquid or E-juice, which serves as the fuel to produce smoke. The E-liquid is the component that vaporizes and as you may have already guessed, it’s also what you need to replenish often. A 15 mL bottle would typically cost you $10 to $15 dollars. It should be equivalent to a carton of conventional cigarettes. Although the total E-liquid costs incurred in a month’s time depend on the user’s consumption, an average of 2 to 3 bottles or 30-45 mL can be consumed by a regular person. 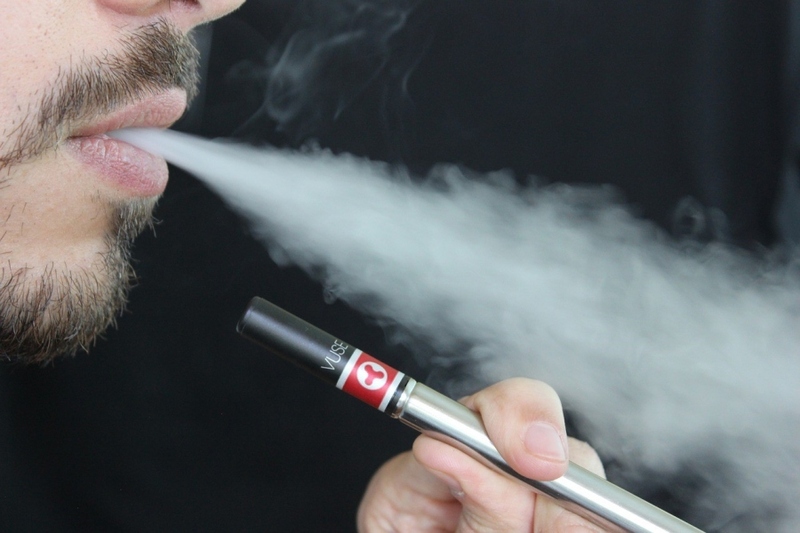 Replacement Parts & Batteries – If you think buying an E-cigarette is the end of it and all you have to do is keep on replenishing your supply of E-juice, then you thought wrong. Vaping is considered an expensive hobby because of the maintenance. For example, when your battery fails, you have to buy a new one. It’s not too heavy on the pocket, typically costs around $10, but it’s a cumulative cost. After all, it is not only once that you experience battery failure. Aside from the preceding costs I’ve mentioned, vaping can even get more expensive for people who take it up as a sport. Many cloud chasers like to modify vaporizers and compete with them. However, also note that, vaping may be costly but conventional smoking is much more expensive. In a year’s time, an average smoker can spend a whopping $2,300 on cigarette packs and lighters. When compared to the $600 to $700 average annual cost of vaping, conventional smoking is still roughly three times more expensive than vaping (see reference). I know most of you think getting coupons or discount vouchers is the best way to go. But these so called “cheap deals” aren’t as abundant in the internet as you are lead to believe. You can spend an entire day looking for a discount code – or an entire week even – and all you’re going to find are fabricated ones. Getting discounts is not that easy. So why not drop the idea of getting discount coupons and just look for a practical and reliable source instead? You’d soon realize that discounts are only offered in shops that sell products for thrice its original price. So you end up making a fool out of yourself trying to search the entire internet for a discount code to get an item that is being sold lower than the discounted price elsewhere. For example, if http://vapinggods.com has a discount coupon of 5% available for an E-liquid product that costs $20 and http://directvaporcoupon2018.com sells the same product with a “low price guarantee” of $12. Then wouldn’t it be wiser to buy from Direct Vapor albeit the discount coupon? Don’t go for discounts, go for low price guarantees.